This latest system of loading is done by elevators. This way the cargo hatches can stay closed during loading. 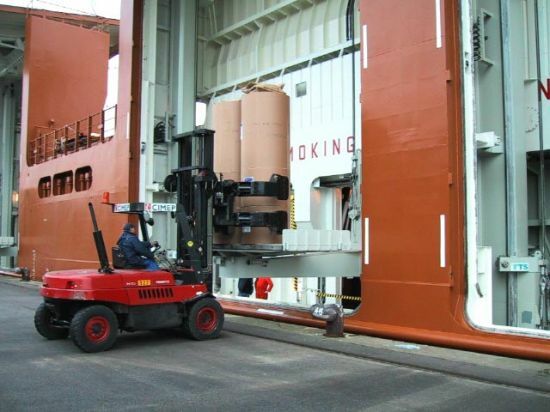 This way loading can continue during rain or snow while the paper inside the ship stays dry.